I wanted to write Happy Thanksgiving, but it hardly seems fair to stand behind a celebration of the beginning of the upper North American project of conquest and genocide, as brought to you by the English. So I decided to wish you all happy fellowship, which is what Thanksgiving is supposed to celebrate, in theory. 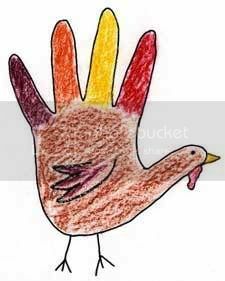 At least, that's what they tell us in second grade when we are making our hand turkeys. But then I realized that the other part of Thanksgiving is sheer gratitude for survival. Those darn Pilgrims were just happy to be alive. And it seems, with apologies to those whose survival was snuffed out by said Pilgrims, that survival is not such a bad thing to be thankful for. Growing up in the 1960s, I got the usual spiel about the first Thanksgiving, from the unexamined perspective of the Pilgrims. How happy it was. How we all had to be grateful for the harvest, for surviving the autumn, for peace with our neighbors. In New England, where I am from, the language of the local tribes has sunk into the land for hundreds of years now. Lake Winnipisaukee. Mount Monadnok. Mount Chocorua. Big Squam Lake. Mount Passaconway. Kangamangus highway. Penacook. All Indian names. All those people gone, mostly wiped out and finally, driven into Canada. The great chief of the Pennacooks was Passaconway, the Merlin and Arthur of the New World, six feet tall and a wondrous magician, able to wipe out the white invaders but choosing not to do so, keeping peace treaty after peace treaty until he himself was finally driven north out of the lands his people had lived on for centuries. Born as early as 1555, he is said to have live beyond 100 and to have finally been taken in a burning sled up into the sky, like Elijah. Then there was Chocorua. Sometimes he is given another name, but this chief trusted his son to the care of a white friend when he went on a hunting trip. 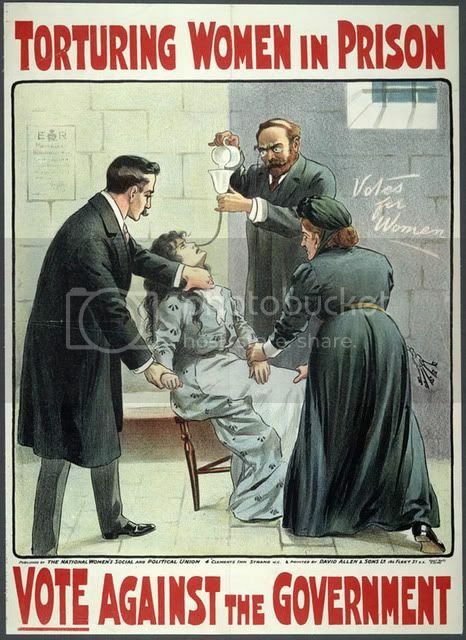 The boy ate rat poison left out for varmints in a bowl of porridge, and died. When his father returned, he went wild with grief, and set about massacreing as many settlers as possible. When they finally cornered him at the top of a steep peak, he leapt to his death, but not before cursing the land and all its inhabitants. Many scholars have written eloquently about primitivism, about the lure of the fantasy of unfettered freedom that indiginous peoples symbolize to many westerners. I wonder if this is part of the attraction of Thanksgiving, but I wonder if it is more ambivalent and vacillating in its fetishism than stable on one side or the other. It's not that you are the Indian, or the Pilgrim, but that you can be the Pilgrim and the Indian too. Isn't that so American? That kind of identification seems predicated on a certain security as a survivor, doesn't it? You know you will survive, so you have the luxury of being either side, or both sides at once. There is a road just north of where I grew up, a dirt road running nine miles through the wilderness, that once housed an entire settlement. Now all that is left are the cellarholes of farms, schoolhouses, taverns. These people moved on when the Ohio valley and beyond opened up. They felt Chocorua's curse on their farms, tiring eventually of pulling one granite boulder after another out of the sandy soil in a vain attempt to plow. They kept the exodus going after the Civil War, taking their doors and expensive windows off their hinges and frames, leaving the snow and rain to sift in and quietly pull the houses apart with soft fingers. In the heart of what used to be a town there is a tall rock where a minister famously spoke in good weather to the congregants below, exhorting them to cling to each other in the wilderness. It is still known as Pulpit Rock. If you go there you can hear the river bubble on the rocks nearby, and hear the wind in the leaves. Our house was built in 1780. A man named Sturtevant climbed an enormous pine tree and surveyed the land around it, eventually building several houses, including ours. It served as a summer camp for girls from the nineteen thirties to the nineteen sixties. Supposedly the girls dressed as Indians and rowed out on the lake in canoes. They had rituals and songs about warriors, adventure, and magic. They gave themselves and their lodges Indian names. In the fall when I was little we gathered the flaming orange and yellow leaves from the road for our school bulletin boards. We made Indian headdresses out of construction paper and string. In late October or early November the chill might warm for a week or two to 60 or even 70 degrees--Indian summer. Some said it was called that because the warm weather had meant new attacks on white colonists. Indian summer was a scary time once. We played on stone walls covered with moss and thought nothing of it. When you walk in the woods up there, even in dense trees, you will cross stone walls. Beautifully built stone walls that remain sturdy and thick, stretching on over the tops of the hills. And you know that you are walking in someone's field, and that it has been reclaimed these long years past by the trees and the pine needles and the underbrush. I wonder if these farmers thought they would stay forever. I'm not sure what kind of alibi or consolation it is to remember the Indians like Passaconway, who could have wiped everyone out but chose peace. I'm not sure where it gets you to think about why people like disidentifying with the rulers they are and identifying with the people they have wiped out. I like to think about Passaconway, though. I wonder why someone so powerful and intimidating chose diplomacy and forbearance. I remember the giant pine trees in our driveway at home, sighing in the wind. Sometimes you could see the silhouette of a great horned owl in one of them. Of course we never felt like pilgrim stock. We were children free on the land. We were powerless yet we had all the wealth of exuberant childhood, and all the righteousness of people who were not grownups. We had survived the centuries to be there, yet we would never forget what the land whispered to us, or so we thought. We were so American. We were Indians, with Pilgrim futures. We still are. If you are anything like me, you experienced a roller-coaster feeling on Tuesday night. By "roller-coaster" I mean that mix of queasy and happy, alien and familiar in your stomach that started to set in as the poll numbers came back. Like a middle-aged person who has found love again, I felt hope, and it was a strange feeling. Remember 1992? Remember how it felt after the bleakness of the long Reagan-Bush era to see the country choose someone intelligent, liberal, vibrant, and in touch? That night I celebrated with friends now long gone from my life, sitting around the tv with champagne and cheering as the states came in for Clinton. I was just thirty years old and the country had come to its senses for the first time since I had been old enough to cast my vote at eighteen for Jimmy Carter in the Reagan landslide. I don't even have to say how much has happened in the last fourteen years, besides pointing out that I can't believe it's been fourteen years. The personal and political tragedies that have ocurred in the interim seem common to people all over. Very few of us have not lost jobs or seen our wages stagnate or fall. Some have gotten rich on real estate, but not the people I know. My friends have battled depression, illness, unemployment. When we looked to the national mood, it routinely confirmed the bleakness in our hearts. There was little joy in soldiering on, though we did. Of course Howard Dean was ousted by the crypt-keeping party elite, the compromisers and slick operators like Kerry and Hillary who sold out so long ago they can't remember who they were. They voted for a war we knew was wrong, and what was worse, we knew as we watched them that they knew it was wrong, too. We watched them lose and we didn't care. They were a bad TV show we dutifully sat down to because it was a habit from younger days and there was nothing better on. Like ER. So last Tuesday was a revelation. As the numbers came in and I watched the tide turn, I felt something lifting and moving away. People were coming to their senses. They finally saw this administration for what it is--an abusive husband who isolates you from your friends, beats and exiles your sons and daughters, cuts your spending allowance while demanding more and more of your labor, lavishes scarce resources on opportunistic cronies that prop up his masculinity, and pays for his self-indulgent new gadgets by mortgaging the family farm. Like battered wives, the nation returns over and over again to these strong men, these people who threaten you with fear and violence, who take from you and tell you that you need to be taken from, who tell you that you are evil and immoral and must be punished. Republican hegemony has created and played on the masochistic psyche of our guilty culture. We know we are pillaging the earth but we don't care. Beat me daddy. I'm a bad, bad girl. After a while, though, even whips and chains can become routine. So maybe our bored consumers are ready for a less perverse adventure in political optimism. Maybe they are ready to like themselves enough to end the ridiculous blood and penance kick of the post 9-11 neofascists, and get on with being grownups in a morally-nuanced world. How did you feel when you watched the tv this week? Surprised? I would like to say that this feeling I experienced when I saw state after state turn blue was happiness, or even exultation, but I think it was more basic than that. I think I just felt relief.